The fact, that Canada boasts wide prairies, wild Rocky Mountains, solitary lakes, big streams like St. Lawrence and exciting metropolises like Toronto or Montreal, is known – but only a few are aware that a fascinating beat for sailors and motor boat enthusiasts lies in the Canadian west: The Pacific coast of British Columbia. For “yachters” Vancouver is possibly the most beautiful town in the world, mooring in prime town location is no rarity – many a person lives on a boat and jumps ashore in a suit in the mornings to pursue their steady job as a bank clerk, only to enjoy their freedom on the water again during weekends. 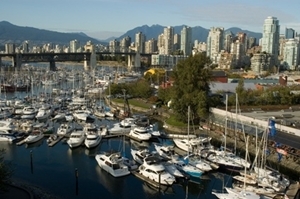 The ones, who don’t own a boat, can take over their desired yacht directly in Vancouver, respectively on the Yacht Charter base on Granville Island. The coast is very structured with bays, offshore islands and islets and lots of fjords; enchanting little harbour towns invite the gust to stay. Visually, the landscape with its lush greenery that turns colourful and red during the Indian summer, the deep blue of the water and the mountains in the background is a dream. (Whistler Mountain is a popular skiing resort in winter!) The climate on the Pacific is mild, even in winter it never gets icy, but often damp – the dry months between May and September are best for sailing. The Inside-Passage between coast and island world, also termed “Strait of Georgia” is a calm sailing beat with waveless water, offering lots of protection and inviting for relaxed sailing. The Canadians discern four singular sailing beats: the San Juan Islands south of Vancouver with Friday Harbour, just outside of Seattle and the border to the USA, the Golf Islands on the doorstep of the capital, the Sunshine Coast further north, and just behind that the Desolation Sound. 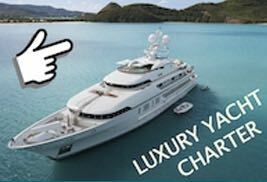 Please don’t hesitate to contact us if you cannot find your desired yacht in our Yachtfinder: we are happy to offer you additional yachts from Yacht Charter bases directly in Comox (Desolation Sound) or Nanaimo on Vancouver Island. The other interesting sailing beat in Canada, though not the mainstream of charter tourism, but also very exciting and divers, is the east coast with Nova Scotia and its capital Halifax. There you’ll find countless sailing clubs and an impressive wild coast, resembling that of New England. Please contact us directly if you would like to sail there!